Mooncake! Can't wait to try it!! 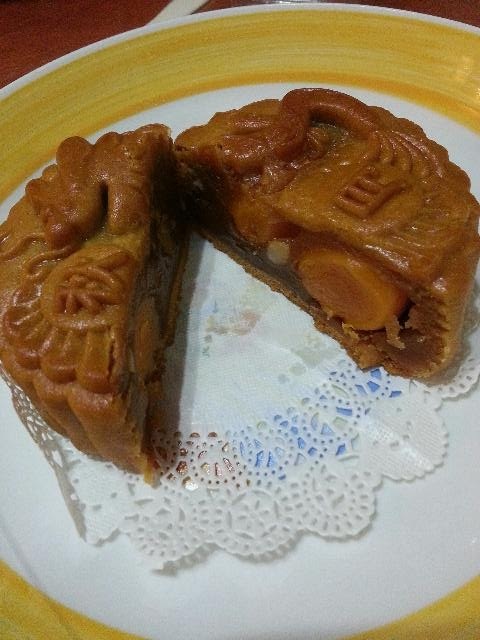 I like to see the varieties of moon cake designs but don;t really like to eat them, they are way too sweet.. Your girls have good taste in mooncake. Double yolk mooncake is very delicious. Very unique design indeed, Agnes! Quite rare to see a dragon design. OMG, I see egg-yolks!! Yummy! 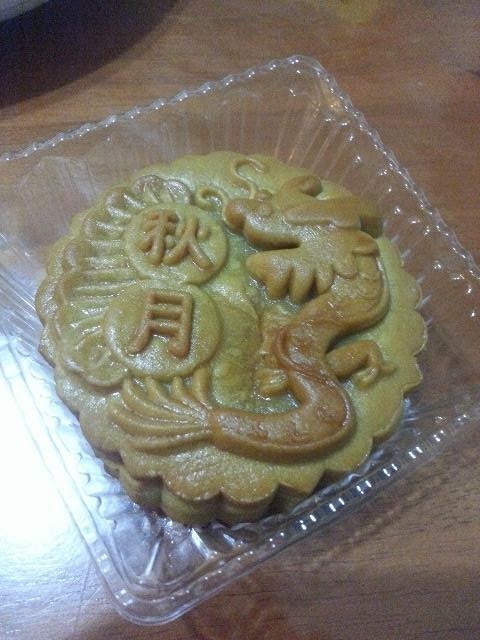 I've not seen a dragon motif on a mooncake for some time dy! The Daddy is not Chinese? I have been enjoying my mooncake for a week and so. This year, I ordered from a friend, so nice. Less sugar ad cheaper. Outside mooncakes mostly too sweet and expensive. I also don't really fancy mooncakes, too sweet for me.